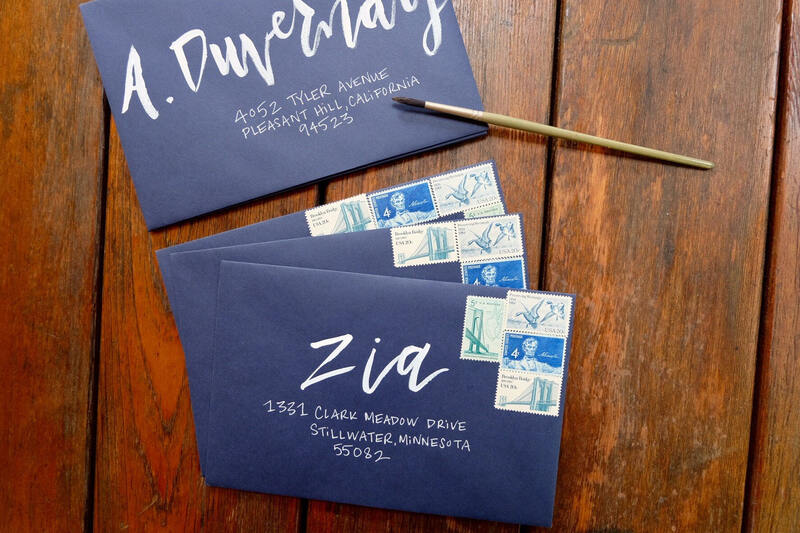 Do you want your guests to know RIGHT AWAY that your wedding is going to be unique? 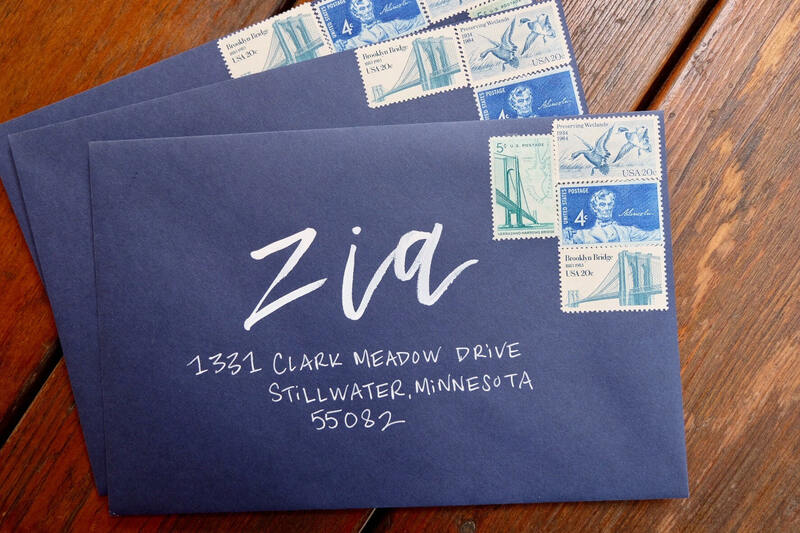 Each envelope is addressed by hand to deliver a stunning first impression to your wedding guests. 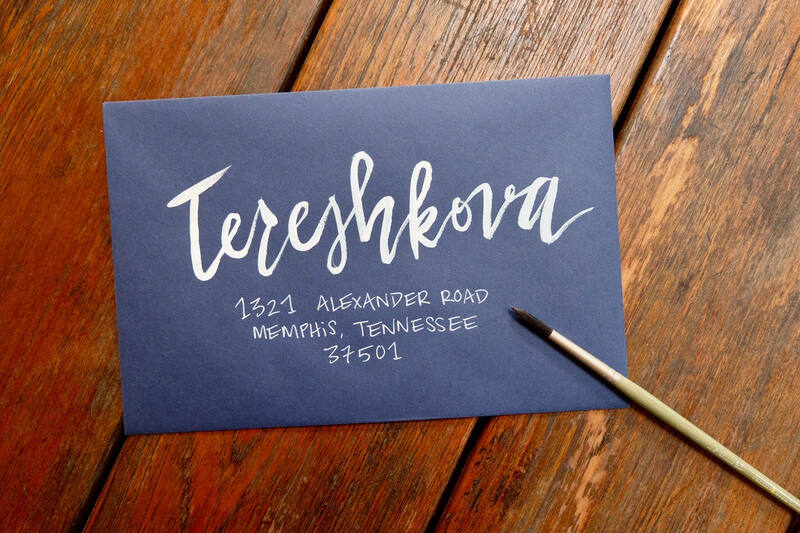 Your wedding is a special event! 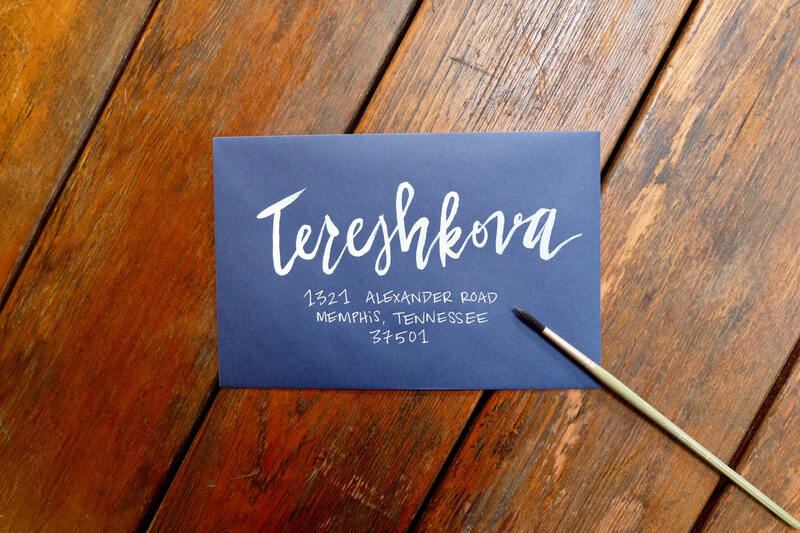 Make a statement with handwritten custom addressing. 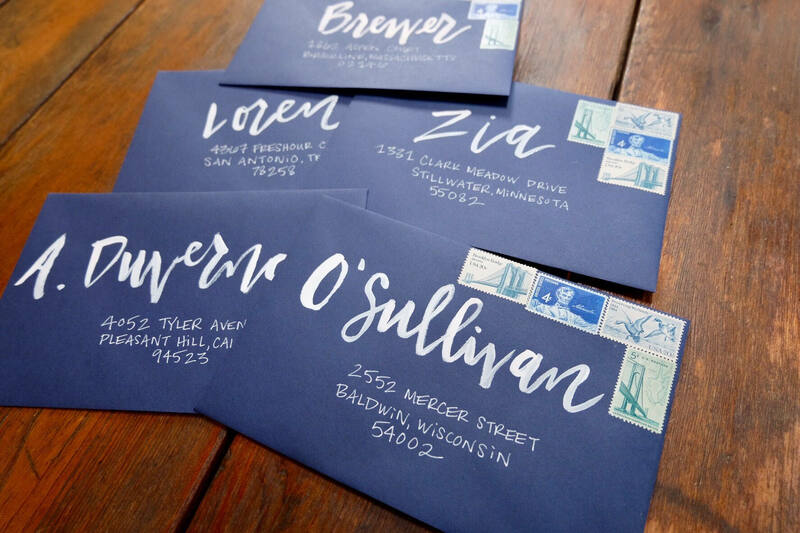 For this style each guest's name is painted on by hand with white watercolor for a gorgeous high-contrast look.